We manufacture signs from a wide range of materials for almost every application. 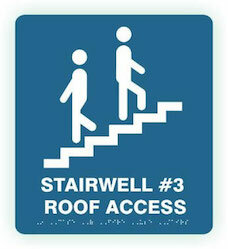 All ADA Signs are made to meet the specifications of the Americans with Disabilities Act. If a sign identifies a permanent room or space within a facility or is meant to instruct, notify, or name a functional spaces or feature of the facility, then it must comply with ADA Guidelines. 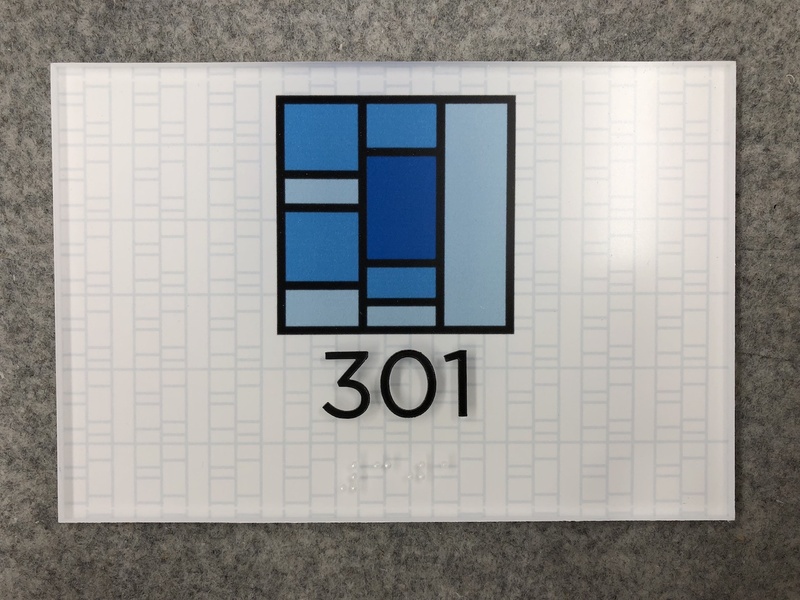 This new law, 3 RCNY 505-01 has set specific standards and requirements for the design and placement of entrance door signs for dwelling units (apartments, guest rooms and sleeping rooms), as well as installing building lobby and hallway corridor directional signs. 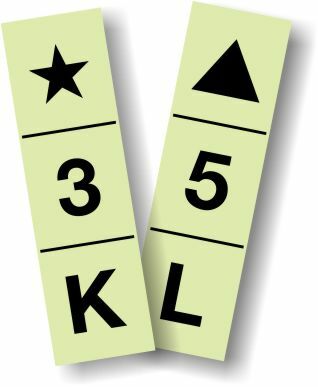 The law requires that building owners mark apartment entrance doors with emergency markings that serve to assist firefighters, first responders and building occupants to identify apartment numbers in smoke conditions that obscure the regular (eye-level) apartment door number signs. These required low mounted apartment door signs ensure firefighters can more quickly conduct search and rescue operations. Established in 1977, we have developed our company to be the leading wholesale, for the trade, sign company for many of our products. Our slogan says it all, “The Signmaker’s Signmaker.” We manufacture all types of signs: plastic signs, brass signs, aluminum signs, and stainless steel signs. We are the leader in ADA signs, engraved signs, and printed signs. We make both applique and photopolymer signs. Our equipment includes Laser Engravers, Computerized Engraving Machines and Large Table Routers. Our services include Engraving, Routing, Silk Screening, Sublimation, Painting, Metal Finishing, UV Printing. As a Nova Polymers Preferred Fabricator, that ensures Photopolymer from CAB Signs meets the manufacturing requirements of the material supplier. Our capabilities are high as we have 4 feet by 8 feet routers, numerous rotary engravers and lasers, as well as many digital printers.